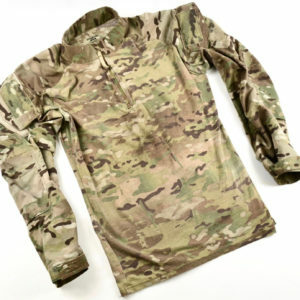 No-melt, no-drip, lightweight, long-sleeved, halfshell shirt with cotton-knit jersey fabric in the torso, and durable cotton/ripstop nylon in high-wear areas. 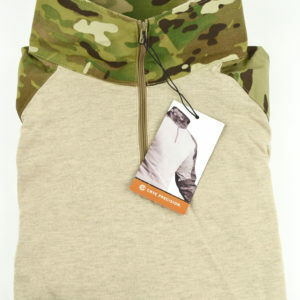 Designed to be worn under body armour or a backpack. The lower torso is a lightweight nylon/cotton jersey-knit, and the high-wear areas are a durable, tear-resistant cotton/ripstop nylon blend. 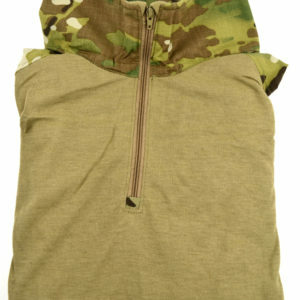 Pit zips allow the sleeves to be rolled up and stashed under the bicep pocket without removing body armour.